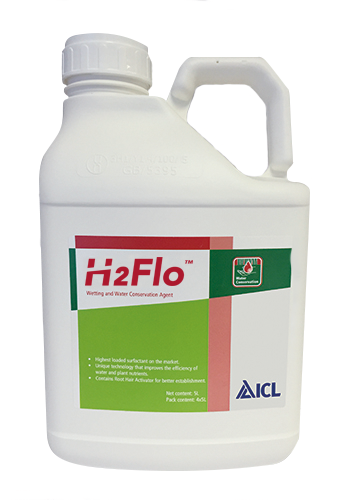 H2Flo’s blend of soil surfactants work to reduce the surface tension of irrigation water allowing both vertical and lateral movement of water. This allows growers to maximise the efficacy of irrigation, reduce water rates and improve yields. usage of any water conservation agents. weekly between May and July. Consistently increased potato yields with H2Flo treatment.